If only, I was married. If only, I wasn't married. If only, I had my dream job. If only, I was retired. If only, my children were old and grown and on their own. If only, my children were little again. If only I was skinny. If only I was rich. If only I was talented. 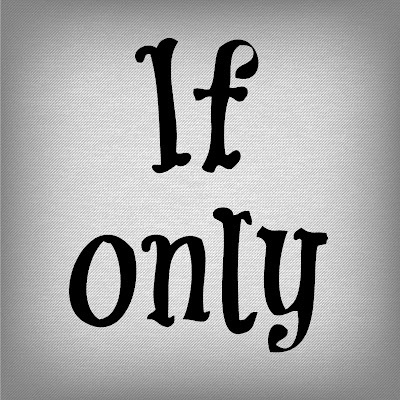 Have you ever been caught up in the "if only" game? I'm sure you probably have. After all, it's pretty popular and it doesn't require much more than a discontented heart for you to be able to play along. For some odd reason, we humans are never quite satisfied with where we are now. We somehow think if our circumstances were different, everything else would be different, too. We'd be happier, healthier, prettier, richer, kinder. We'd be more productive, more popular, more dependable, more agreeable, more Christ-like. Unfortunately, the "if only" game only leaves us feeling depressed, frustrated, defeated and ready to give up. Want to know how to win at the game of life? finding contentment no matter what your circumstances are? You see, what matters most is not what is happening around us, but Who is residing inside us. If we have Christ in us, we have all we need. It is Christ that makes the difference. we simply need to trust in and rely on the One dwelling inside us. The very One who is in our midst is in the midst of our circumstances. 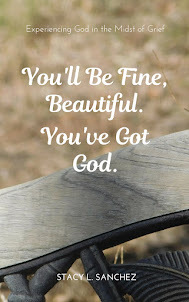 Right here, right now, God is here. All we need to do is to keep our focus on Him. In every season of our life, Christ longs to Make. It. Count. we keep our eyes and our heart fixed on Him. —which is Christ living in you, giving you the hope of glory.